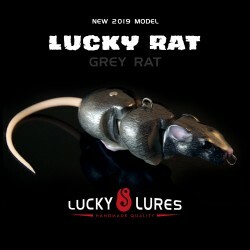 This is the lure that started it all for us when we designed it back in 2010 as the first big pike swimbait ever made available by order. 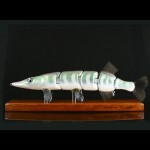 Now it has made its mark among many avid fisherman around the world and is widely known as a big Pike catcher which makes us way proud! 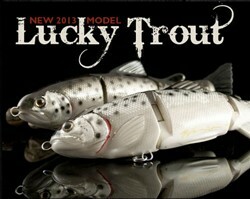 Often imitated and even bluntly cloned but never equaled. 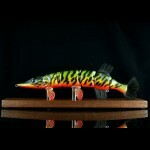 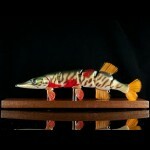 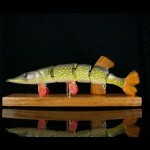 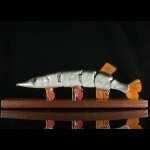 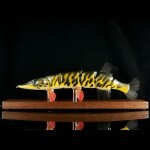 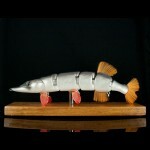 Northern Pike and Muskie are a highly cannibalistic species and known for brutal attacks on their spouce and rivals. 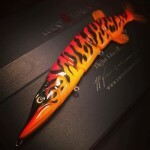 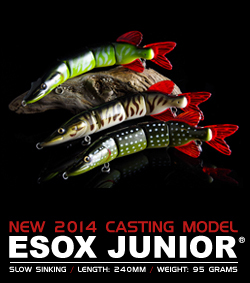 Esox was designed with just that in mind as a XXL swimbait for slow trolling or even casting if you use strong gear. 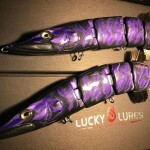 Because of the lipless design it has little resistance in the water while swimming and the natural head design of esox will keep it at running depth due to water pressure. 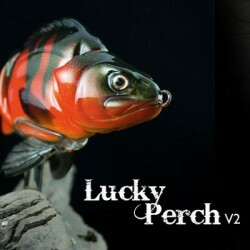 Get ready for 'Rod Crunching' Strikes fishing this bad boy. 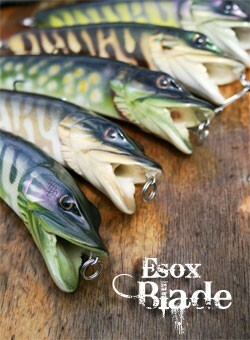 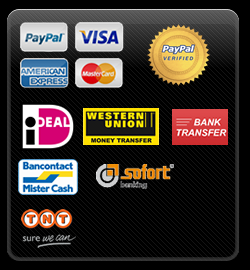 Esox is made out of the best available materials and as strong and tough as possible. 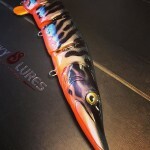 The body ..